Amazon has filed a patent application with the US Patent and Trademark Office for technology that could one day scan your face and identify who you are, use visual cues to figure out the kind of work you do, and potentially track you as you move around. 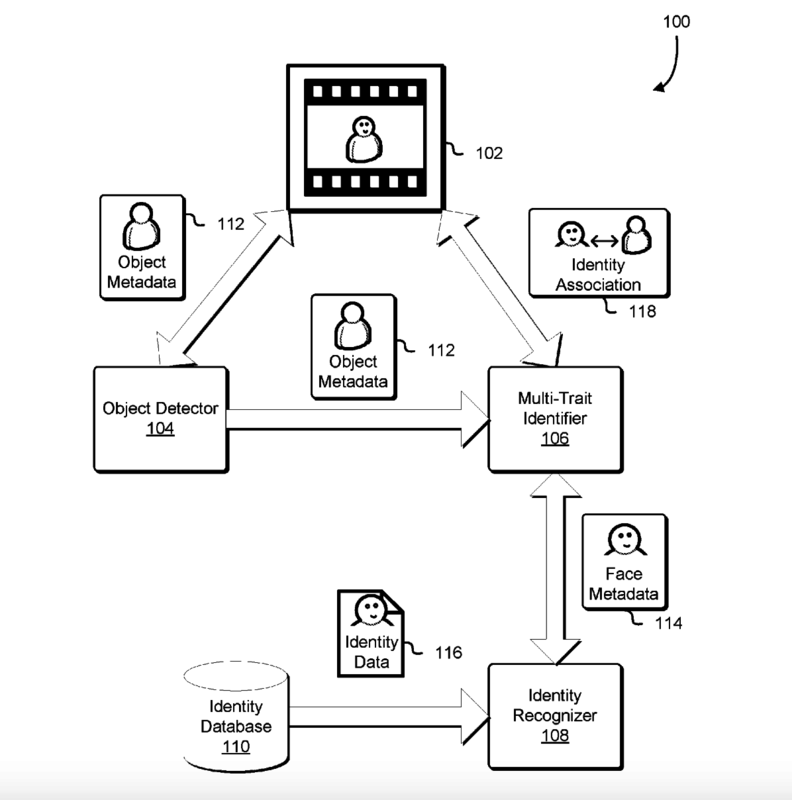 The patent application, which was filed in August 2017 and made public on Thursday, offers insight into Amazon’s possible ambitions for Rekognition — its powerful facial recognition tool that the company has aggressively pitched to law enforcement agencies across the US. While a patent application doesn’t necessarily mean that Amazon plans to implement the technology or to integrate it into Rekognition, it does show the company’s keen interest in potentially invasive facial recognition applications, from tracking individuals to entire groups of people. The technology could, for example, tell that a tracked individual is “Allen Brewer,” based on “facial data” plus “unique identifiers” that make it clear it is identifying a specific Allen Brewer using, for example, his residence. Brewer could then be classified as, say, an accountant, after the system “[evaluates] the clothing that the individual is wearing, [identifies] the individual as Allen Brewer and then [determines] that Allen Brewer is an accountant,” according to the patent. Over the past year, Amazon has faced a growing public outcry over privacy concerns surrounding its facial recognition technology. Especially in the hands of law enforcement, experts say, the tech has vast potential to be abused. Facial recognition can be used to surveil people at a public protest or chart people’s movements through a town based on where their faces show up on camera. It could have a chilling effect on public protests, and negatively impact communities — especially communities of color. “When people live in societies like that, it clamps down on their freedom of speech,” said Jennifer Lynch, a senior staff attorney with the digital rights group Electronic Frontier Foundation, told BuzzFeed News last year. In November, a group of seven House Democrats sent a letter to Amazon CEO Jeff Bezos demanding details about how the tool worked — especially about the possibility of racial bias, and the general lack of policy guidelines for law enforcement agencies already piloting the technology. Amazon Rekognition is already in use or being piloted by the Orlando police department, Washington County’s Sheriff’s Office in Oregon, and the FBI; the company has also reportedly pitched the tool to US Immigration and Customs Enforcement. Amazon has maintained that Rekognition has many useful applications, including finding missing children and preventing package theft. Last week, the company wrote a blog post offering Congress a set of guidelines for facial recognition technologies and claimed it had “not received a single report of misuse by law enforcement” over the software. Meanwhile, Amazon CEO Jeff Bezos has never publicly addressed the concerns over the company’s Rekognition tool.